Welcome to Unity Glass Industry, Manufacturer and Supplier of Laboratory and Industrial Glass. The company was established in the year 2004. Our State of the art infrastructure and Wide range of products make us unique in the industry. We are backed by Medical experts, Technicians, Designers and marketing personnel. 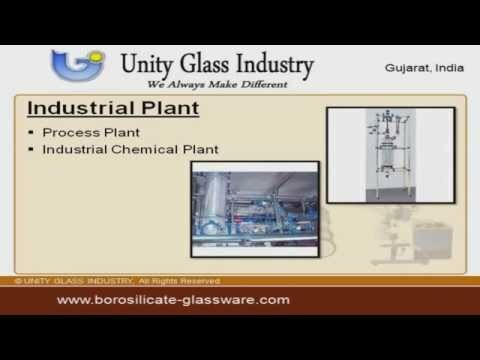 We present a unique range of Industrial Plants, PTFE Products, Industrial and Laboratory Glass. Industrial and Laboratory Glass are reckoned all over the world for their superb quality. Our Industrial Plants are well known for their durability and reliability. PTFE Products offered by us are available at cost effective prices. Our Laboratory Glasswareâs are extremely reliable. Our organization is highly involved in providing an impeccable range of Industrial Glass Wares.